All of the four Areas in FLSRC have been re-aligned. 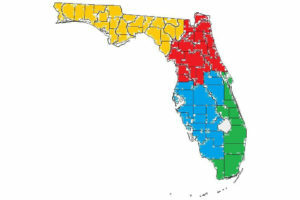 Some counties have been assigned to other areas that are not the same as the 4 regions of FYSA. Area Administrators have also changed. Below is the newly re-aligned FLSRC by Area with counties listed for the Area along with the ARA and the Assistant ARA’s. The ARA and the A-ARA are each referee’s first point of contact for any issue.